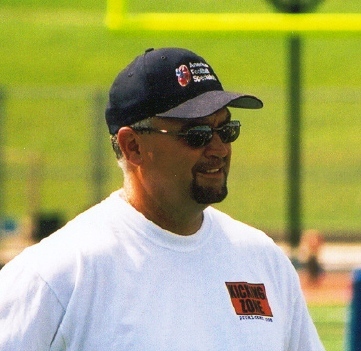 Ed Laski a 20+ year staff member for Ray Guy Prokicker.com. Ed is a national camp instructor who travels the U.S. annually to teach Long Snappers. He was an outstanding football player at Eastern Kentucky University where he was a member of the 1979 NCAA 1AA National Championship team that defeated Lehigh University for the title. In 2009 Ed earned a place in the EKU Athletics Hall of Fame for his contributions on that great team. Ed Laski currently resides in Chicago with his wife Sue, where they raised 3 daughters.